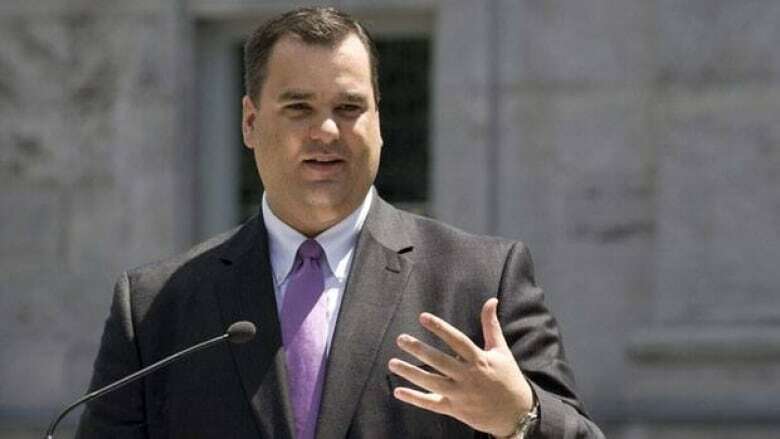 Heritage Minister James Moore says CBC/Radio-Canada must be prepared to face cuts of five per cent in its parliamentary allocation as part of the government's program review. CBC/Radio-Canada must be prepared to face a cut of at least five per cent in its parliamentary allocation in the next budget, Heritage Minister James Moore says. In a wide-ranging interview with CBC's Q cultural affairs show on Monday, Moore ruled out privatizing the public broadcaster, but said all government spending, except for health care and support for seniors, is under review. "The CBC has to do its part. The idea that the CBC can't find five per cent efficiencies within the CBC to give back to the broader economic framework is silly," he said. "Of course the CBC will be part of this overall process." He said his promise to maintain or raise CBC funding had been based on the 2008 election platform. "Everybody, including the CBC, has to be part of the strategic review and find five per cent. All of this is dictated by the process going forward of the strategic review which is to look at the macro framework of the Canadian economy, going forward the next few quarters. And we'll see where we are next year, but everybody has got to be a part of it." He also backed up Finance Minister Jim Flaherty's warning last month to arts organizations not to expect regular government funding. "The source of funding cannot just be government," Moore said. "You have to draw more private-sector funding into arts organizations." Flaherty made the remarks after a controversy over SummerWorks, a Toronto independent theatre festival that lost its federal funding after it made headlines last year with Homegrown, a play about a convicted terrorist. Moore denied that the loss of funding to SummerWorks was a result of political interference. "The SummerWorks festival received funding for five straight years," he said. "The request this year was for $45,000. To be blunt, it had nothing to do with the Homegrown play. I haven't seen it — I've heard the debate on it, but I'm not interested in it." Moore said SummerWorks funding was cut so other festivals could get access to government grants. "People can draw up whatever conspiracy theories they want," he said. "The fact is that funding went to another festival, and other festivals are going forward." Moore agreed that arts organizations face a challenging environment, and said government's role has to be to set the stage so arts groups succeed. Moore dismissed what he called a "stereotype" that Conservatives do not support the arts, saying the government fully understands the importance of culture to Canada's economy. "We need to make sure that regime of policies that the government has — not just funding but copyright legislation, investments, drawing in the private sector to make sure there is a steady base for culture that doesn't just come from taxpayers — all of these things have to be working in concert to make sure that Canada continues to lead the world," Moore said. One of the priorities of the government this fall will be copyright reform, he added.